Designed specifically for novices, our Experience Days provide everything you need to get started in fly fishing. You’ll receive professional tuition and friendly advice throughout the day. And if you’re lucky, you may even leave with a couple of trout. Our Fly Fishing Experience Days are held on Tuesday and Saturday, throughout the year and also Sunday during the Summer months. You'll learn how to put a rod, reel and line together and attach a fly. You'll be shown how to cast making sure that your timing and rod movement is just right with constant feedback from our instructors. The Experience Day includes everything you need to go fly fishing All tackle and equipment. An Environment Agency (EA) day licence. Two trout to take home. A fully tutored morning, with up to no more than three others. Support and questions answered throughout the day. An Environment Agency (EA) day licence. Support and questions answered throughout the day. Two trout to take home. If it's as a gift, or you want to buy a day but don't yet know what date to take it on, buy a Fly Fishing Experience Day Voucher. For details of the Experience Day voucher - and for a list of all our vouchers - just click the button below. 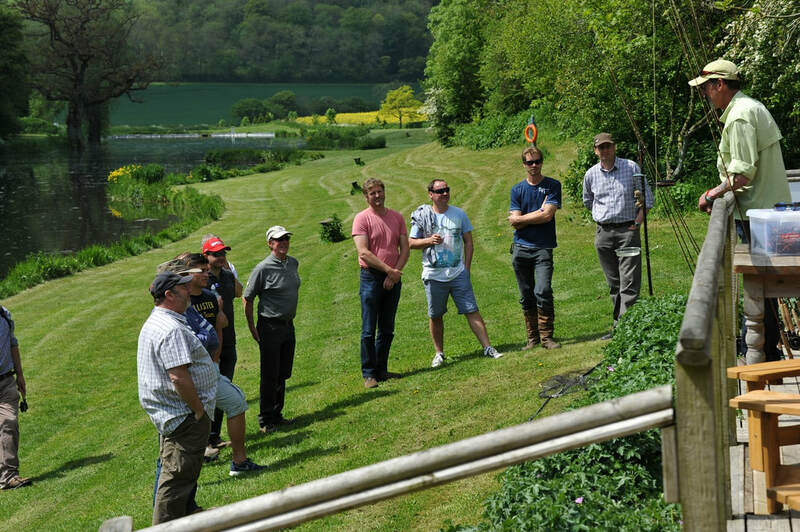 "I had a fantastic time on Saturday at the Meon Springs Fly Fishing Experience day. It was everything I hoped it would be. Everyone was so helpful and made me feel so welcome. ​The tuition was excellent and very comprehensive. I was chuffed to bits with the two fish I caught and cannot wait to return for another day's fishing. It is my intention to make regular visits from now on and become a member. Thank you for a wonderful day at such a beautiful location."